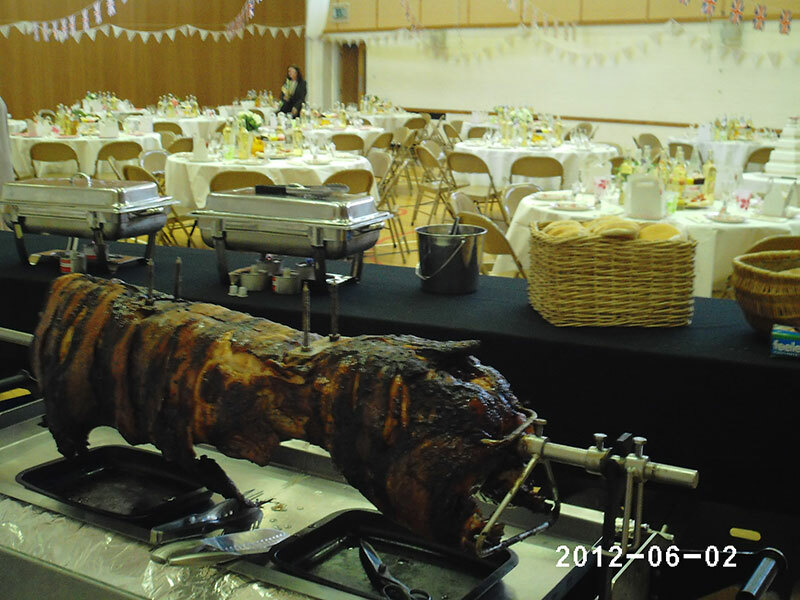 The perfect choice if you are looking for high-quality catering with a difference. 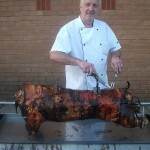 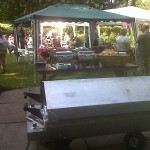 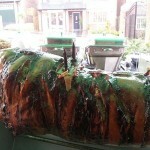 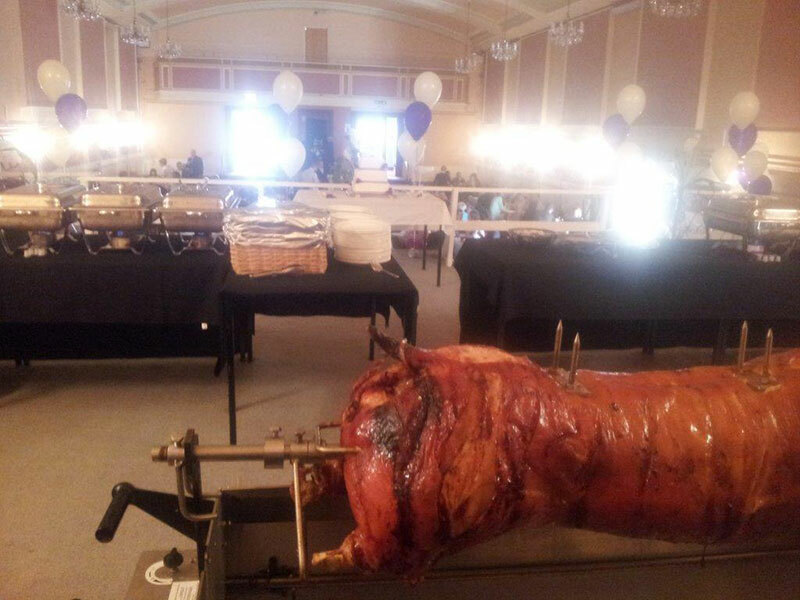 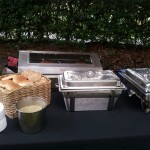 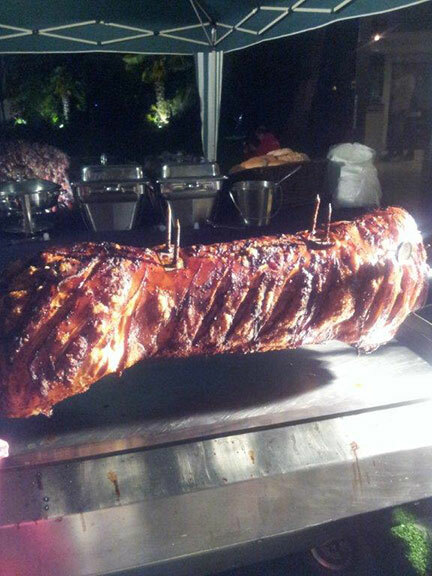 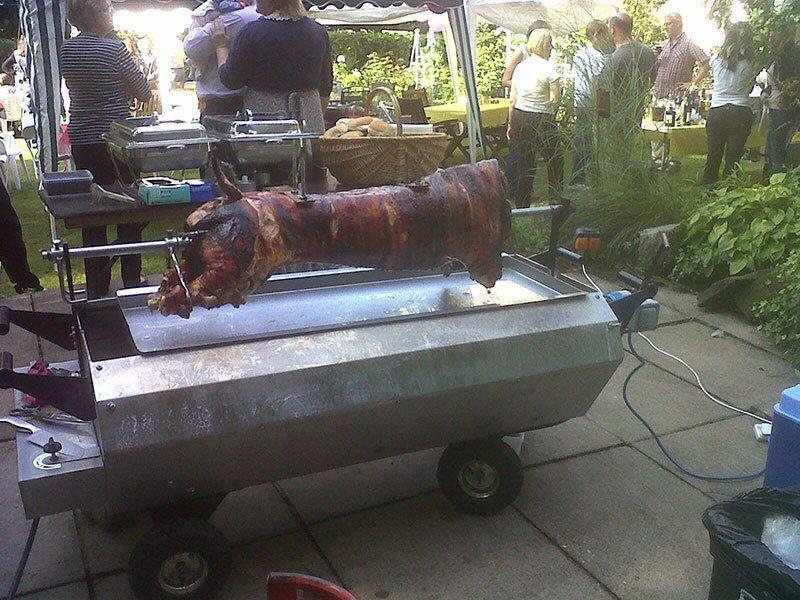 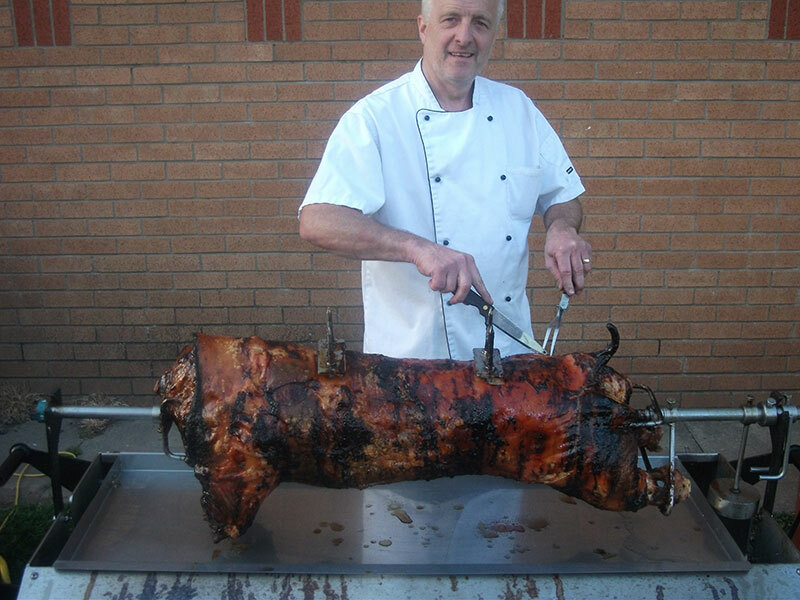 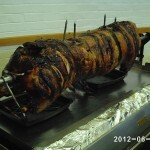 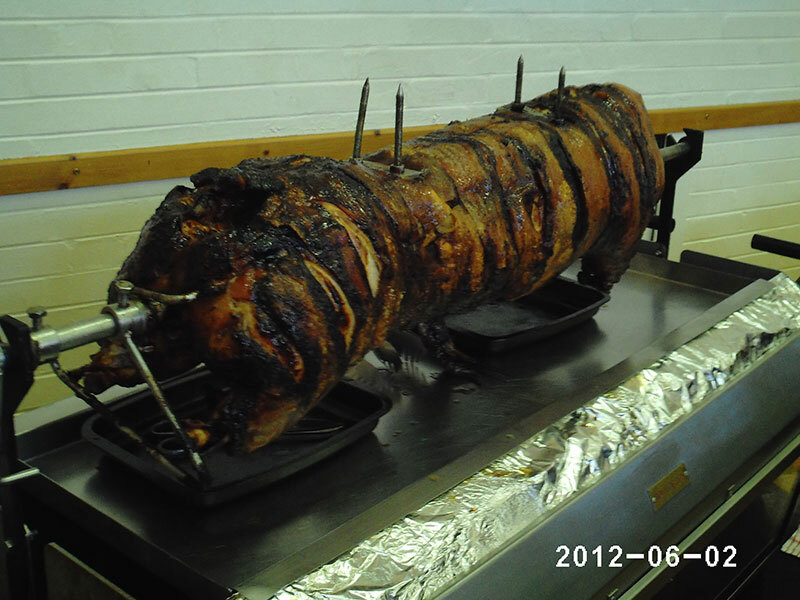 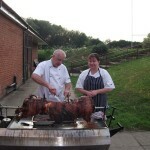 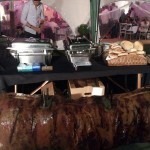 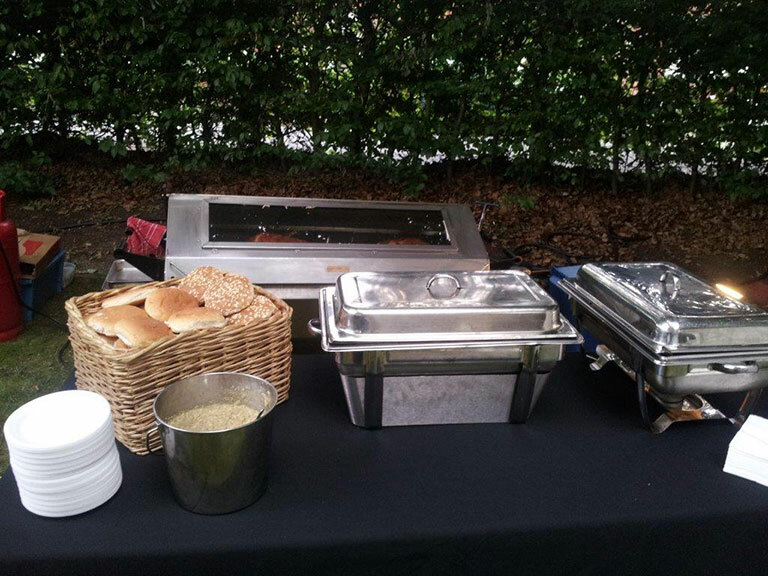 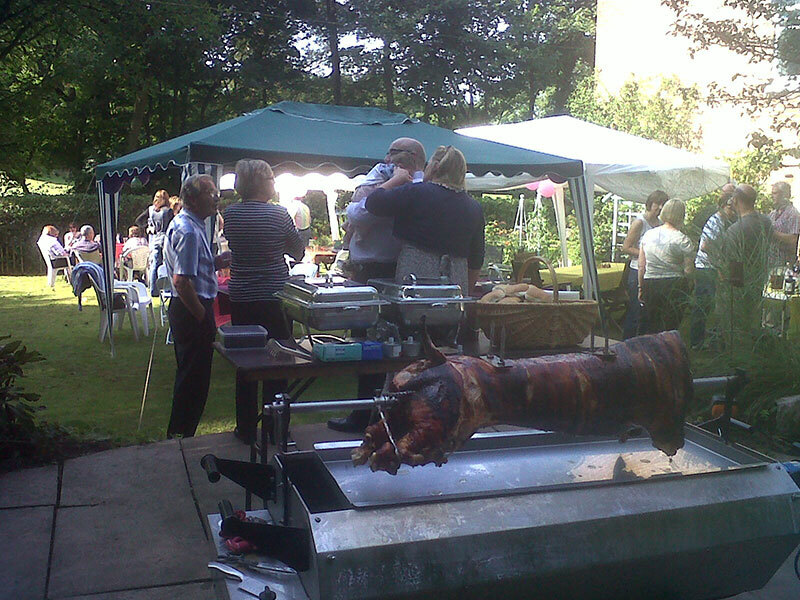 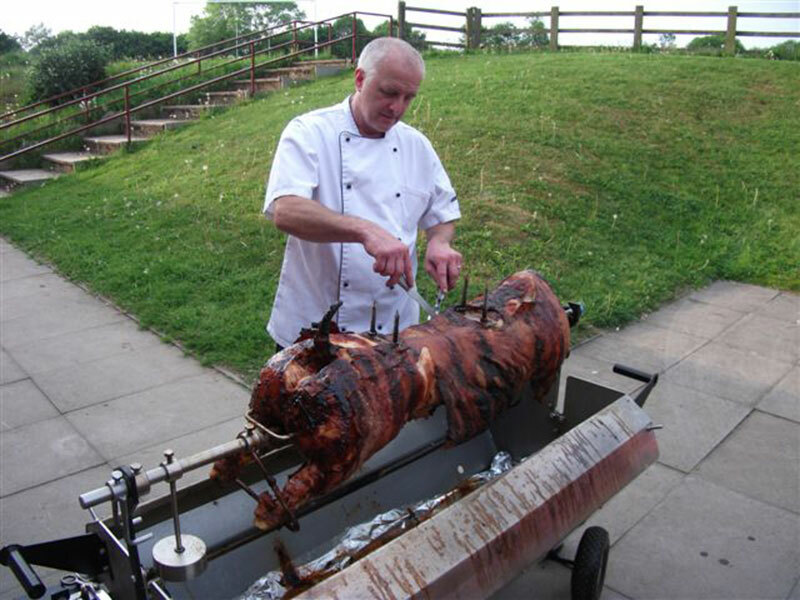 Whether private or corporate our hog roast is deliciously different and can only enhance your occasion. 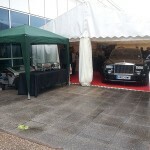 Furthermore we can incorporate it into a complete package to suit whatever occasion you are putting on. 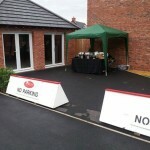 We cover all of Cheshire, South Manchester and most of the North West. 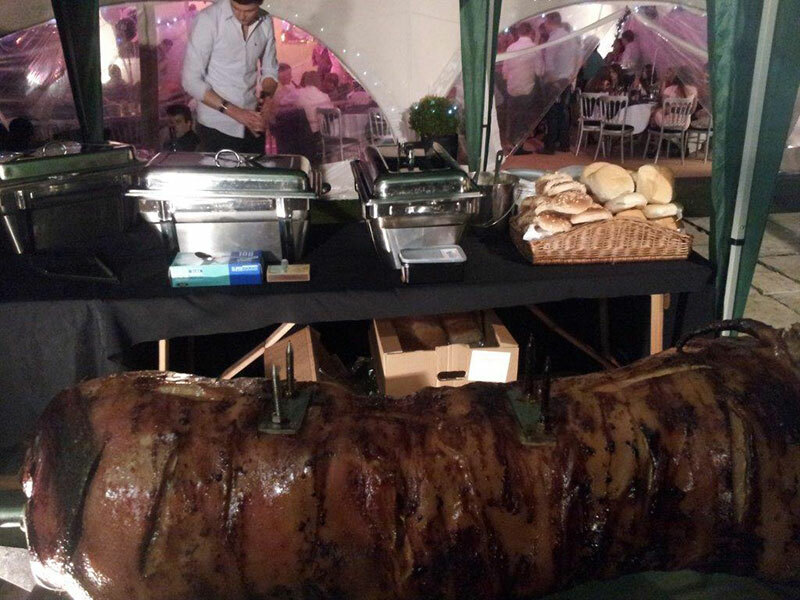 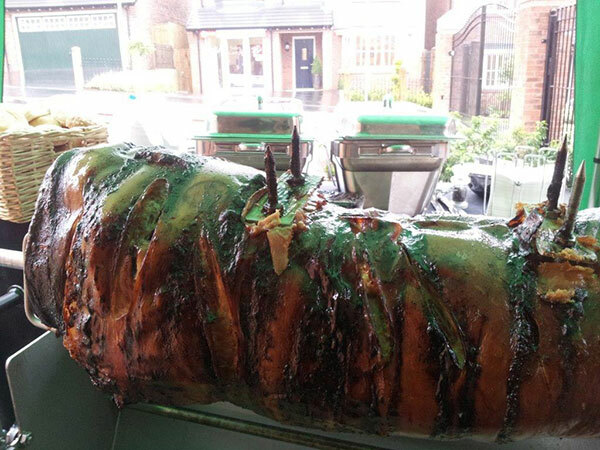 Our Hog Roast’s traditional slow spit-roasting creates beautifully succulent meat which combined with our various accompaniments creates a truly memorable feast. 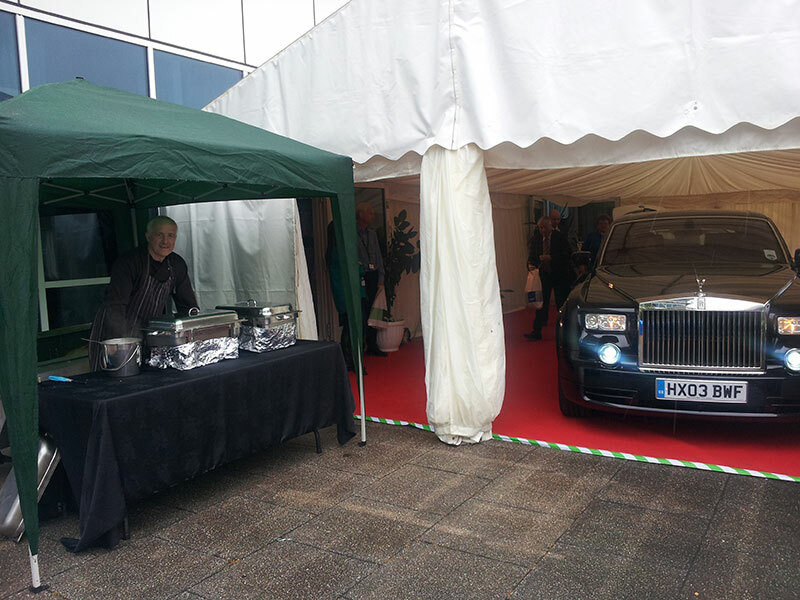 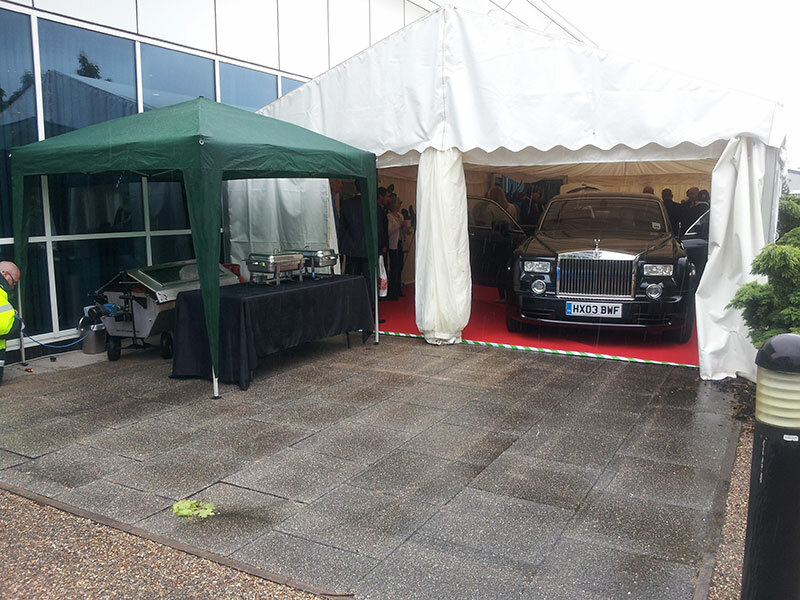 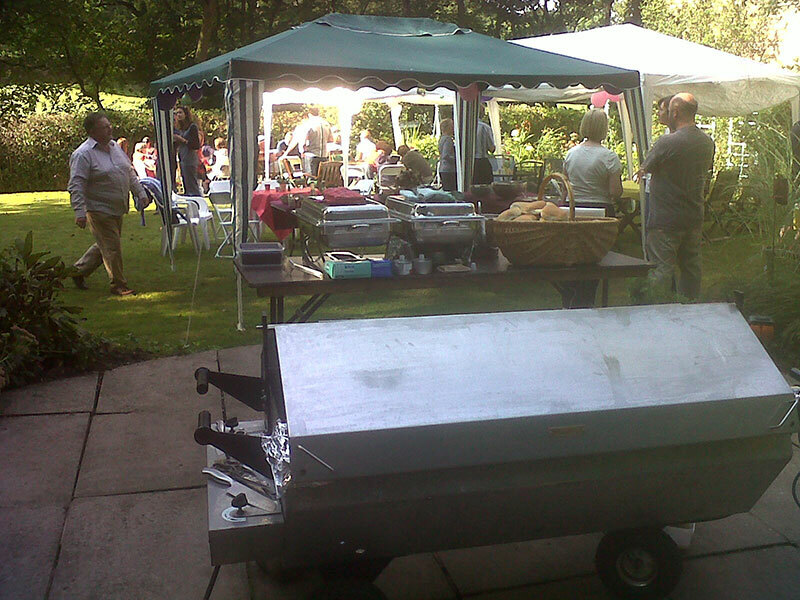 We cater for both indoor and outdoor events and arrive fully equipped with serving tables and gazebo for outdoor use. 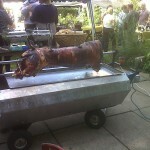 Q] Do you bring the hog part cooked ? 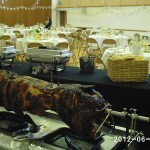 Q] What about food standards / hygiene ? 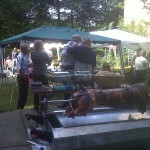 Q] What if I am undecided to have a Barbecue, a carvery or a Hog Roast? 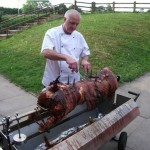 A] The important thing is to book your date as some dates can get booked up early. 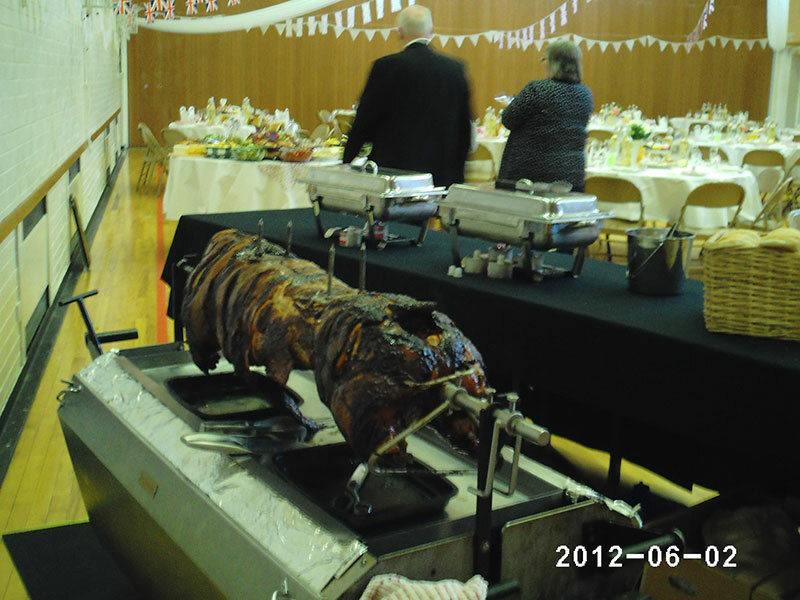 Final menu and numbers can be determined nearer the time. 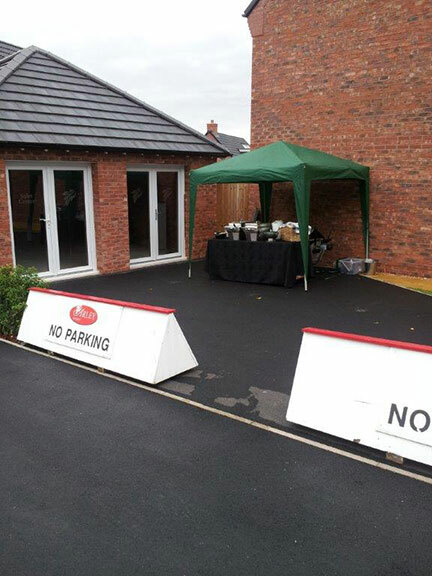 A] For most functions we normally do a site visit to ascertain access and layout but in general terms our needs are little as we bring everything required which normally takes between 3 sq m to 6 sq m. Ideally we would like access to a 13amp power supply but if this is unavailable we have our own generator. 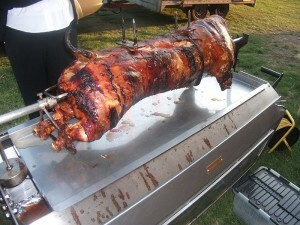 These and any other requirements would be discussed with you prior to the event. 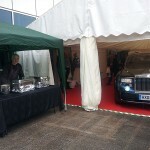 Q] Do you have insurance? 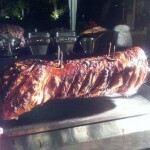 A] Yes we have all the statutory insurance required. 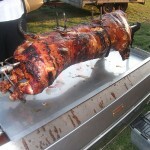 Q] Do you cook the hog from raw on site? 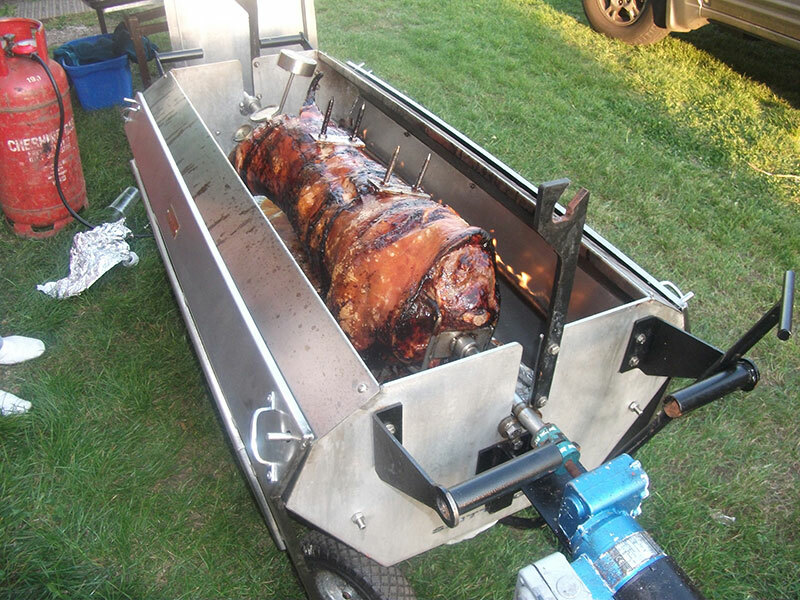 A] Yes, it would illegal and a big health risk to prepare the hog roast any other way. 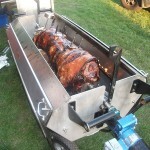 Q] How many people will one hog feed? 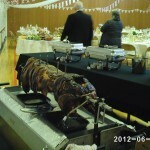 Q] How long does it take to prepare the Hog? 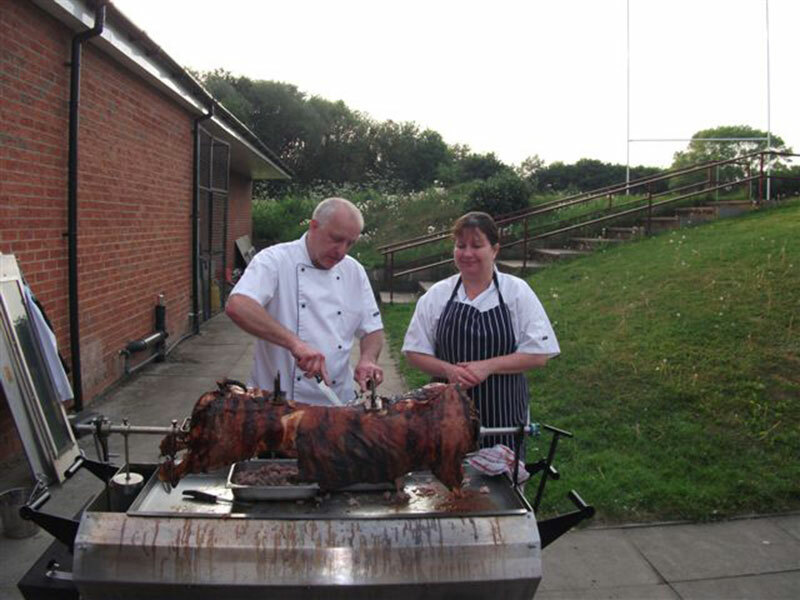 A] For a standard preparation time we normally require 5 hours before serving. 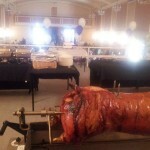 As each clients requirements can vary a simple costing would be.